In the two years since his wife Nicole's death, A.J. Fikry has grown hard and distant. As the owner of Island Books, he has all but let the store go, choosing only to buy books that suit his tastes, and pretty much ignoring any opportunity to help make the store any money. If it weren't for the people in his life -- the good-hearted local police chief, his loyal sister-in-law, and even his philandering brother-in-law, A.J. might have drunk himself into oblivion by now. This is Maya. She is twenty-five months old. She is VERY SMART, exceptionally verbal for her age, and a sweet, good girl. I want her to grow up to be a reader. I want her to grow up in a place with books and among people who care about those kinds of things. I love her very much, but I can no longer take care of her. The father cannot be in her life, and I no not have a family that can help. I am desperate. At first A.J. does what anyone would do if they found an abandoned baby: call the police and then contact social services. But the more time A.J. spends with Maya, the more he realizes they share a special bond.What happens next is a celebration of love, books, and unconventional families. As Maya helps A.J. climb out from the depths of despair, he shares his love of reading with her and soon, A.J. 's bookstore becomes an active part of the community again. 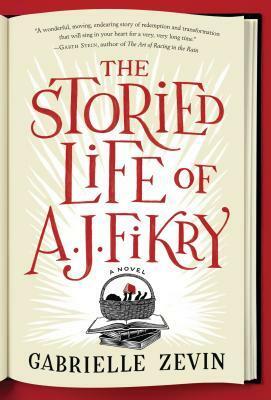 What made the desire to read The Storied Life of A.J. 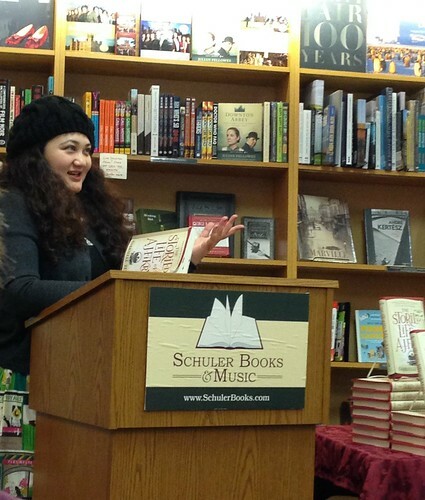 Fikry so strong for me was when Zevin, at her event at Schuler Books in East Lansing last week, talked how the inspiration for this book came from the notion that if her parents had ever left her alone in a bookstore when she was a kid, they knew she'd be okay. One of Zevin's most quotable lines from the evening was, "Children who read grow into adults you want to know." I think that deserves to go on a poster to hang in classrooms and libraries all over the world. Each chapter begins with a short story recommendation from A.J.to Maya, since short story collections are his favorite type of book. That in and of itself speaks volumes about A.J. as a character since short story collections are notorious for being difficult to sell. Which is the catalyst for another rich conversation that The Storied Life of A.J. 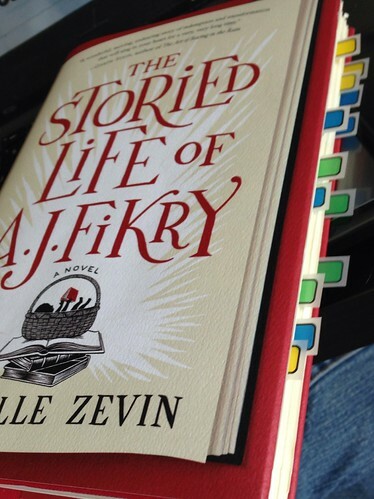 Fikry will inevitably lead to: what do our favorite books say about us as people? While The Storied Life of A.J. Fikry does have a touch of romance, this is not a traditional love story. Instead of focusing on the love between a man and a woman, Fikry is a love story to books, bookstores, and book people. As you arrive at the last few pages of The Storied Life of A.J. Fikry, one thing becomes very clear: our lives are so much better and richer because of the books we read and the bookstores we spend time lingering in. As Chief Lambaise says at the end of the novel, "A place ain't a place without a bookstore."